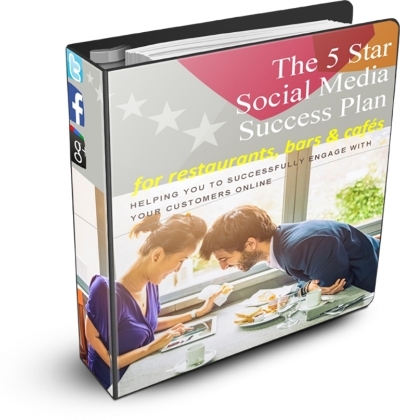 Over the past two years I have helped many UK restaurant, bar and café businesses to turn their Facebook and Twitter accounts into powerful and effective marketing channels for their businesses. This social media marketing advisory and performance improvement programme has been especially created for marketing managers of restaurant, bar and café businesses and other business managers who are responsible for the marketing of a food or drink venue. This programme is tailored to meet the needs of your business and can be delivered as a series of workshops or over three, six or twelve monthly sessions. Training can be delivered on site at a restaurant or bar venue or at your offices. Susanne's wealth of knowledge in the world of digital marketing has been extremely beneficial to Platform Bar and Restaurant. In her role as consultant she has acted as a mentor for a new member of marketing staff, helping us to get some much needed communications and procedures in place. She has now got us to a stage where we have the processes and suitable software packages in place to be able to manage our marketing in house. Thank you for the social media training. I found it really illuminating. Susanne Currid is a digital marketing strategist, author and coach who specialises in helping businesses to successfully engage with their customers through social media. She first fell in love with the online world in the late 1990’s when she started to produce digital marketing campaigns for start-ups and big brands including Sony Music, Channel 4, Intel and Johnson & Johnson. Later she worked with central London marketing agency Redcow Creative as a digital marketing specialist and as an independent sales and marketing consultant for a wide range of SMEs. From 2007 to 2010, as Global Head of Online Marketing, Susanne was part of the team that helped Patersons Global Payroll win a raft of international business awards including T-Mobile Fast Growth Company of the Year. In 2011, Susanne founded The Loop Digital Communications Ltd where she now provides strategic social media consultancy and coaching to restaurant & bar operators and other fast-growth businesses. Susanne is a regular speaker at events and on radio. She also blogs at www.the-loop.com/blog.